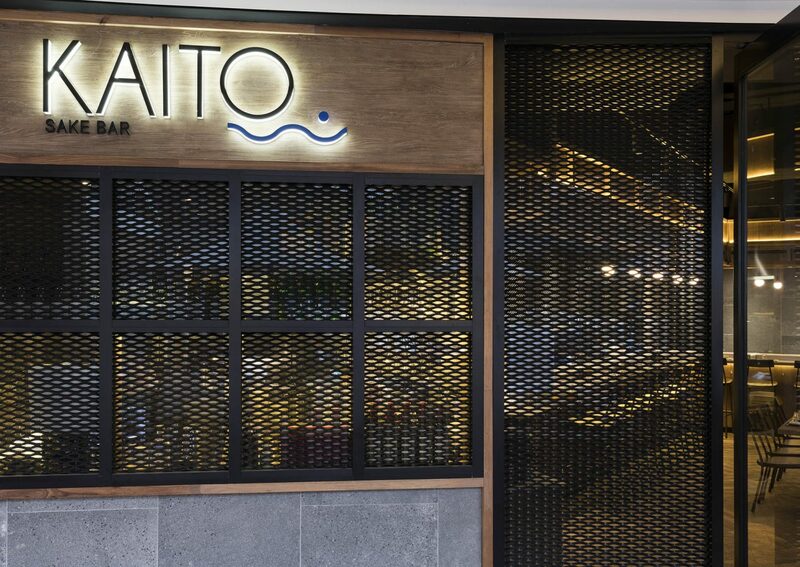 Located in Castle Towers at Castle Hill, Kaito is a Japanese eatery that is one of its kind in the local area. 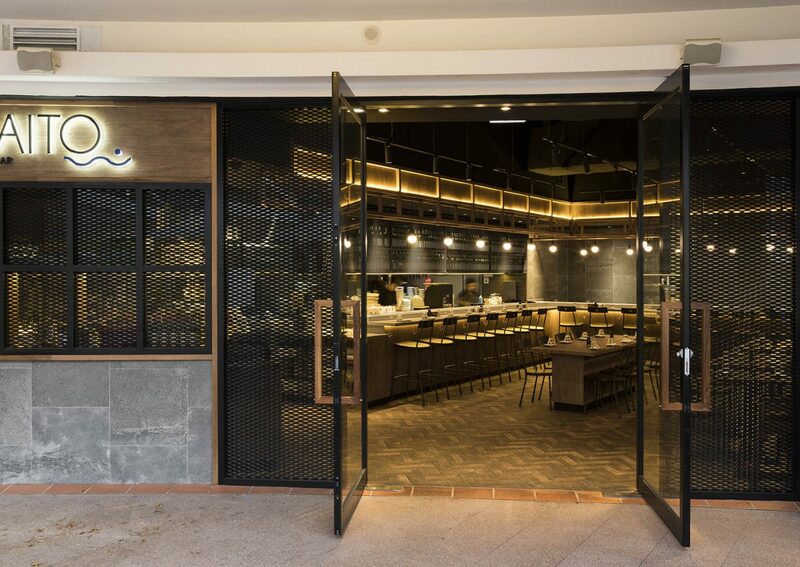 A casual sushi train during the day and sake bar by night, Kaito serves up some of the most traditional dishes with a modern approach. 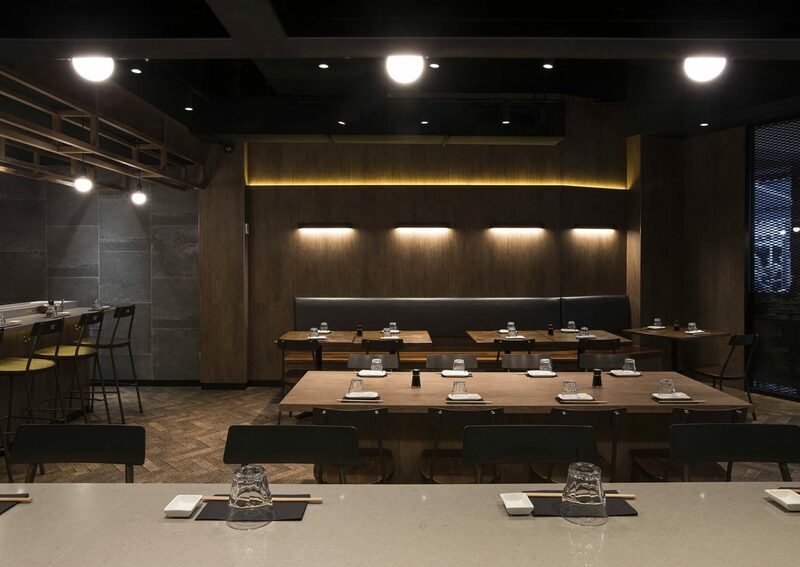 The brief was to create a brand and store that reflects its traditional Japanese cooking methods in a modern setting. 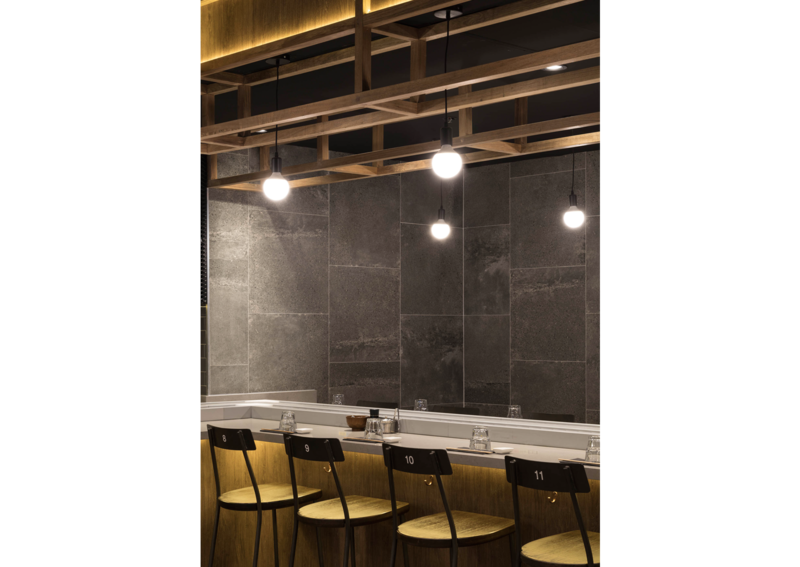 The result is a refined, minimal and contemporary space, yet providing affordable dining to its target audience. 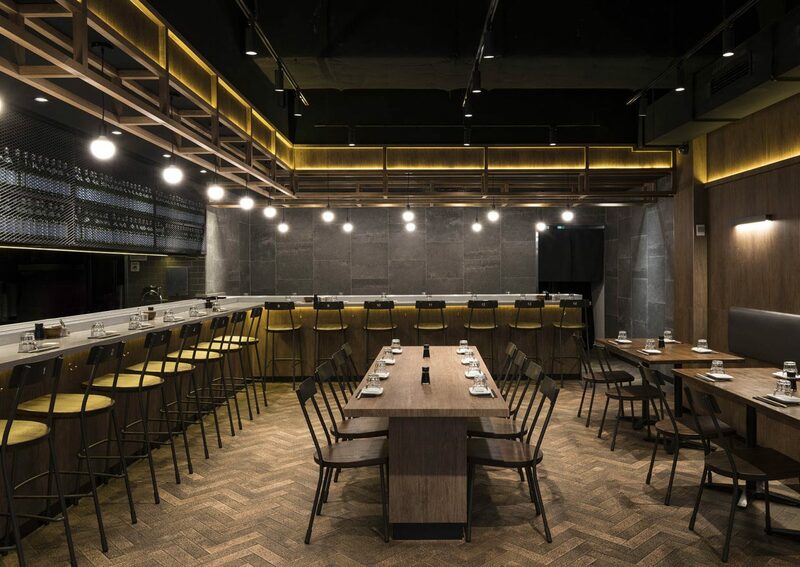 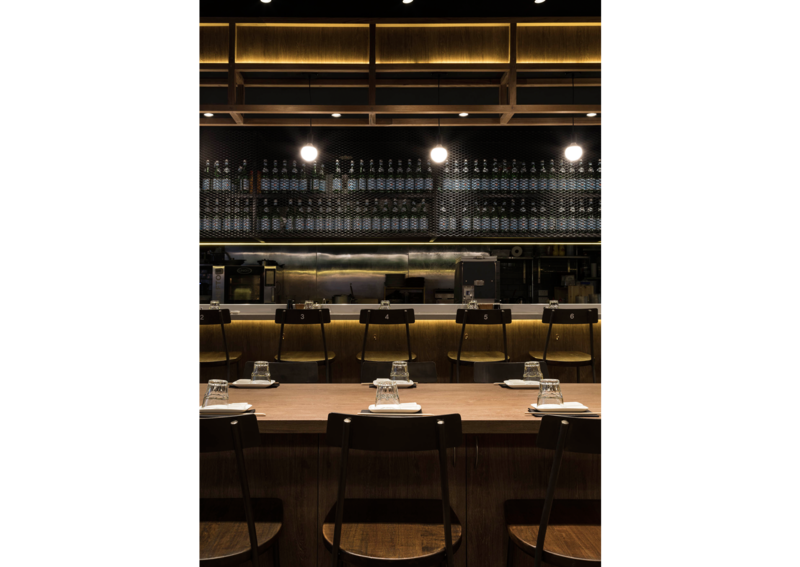 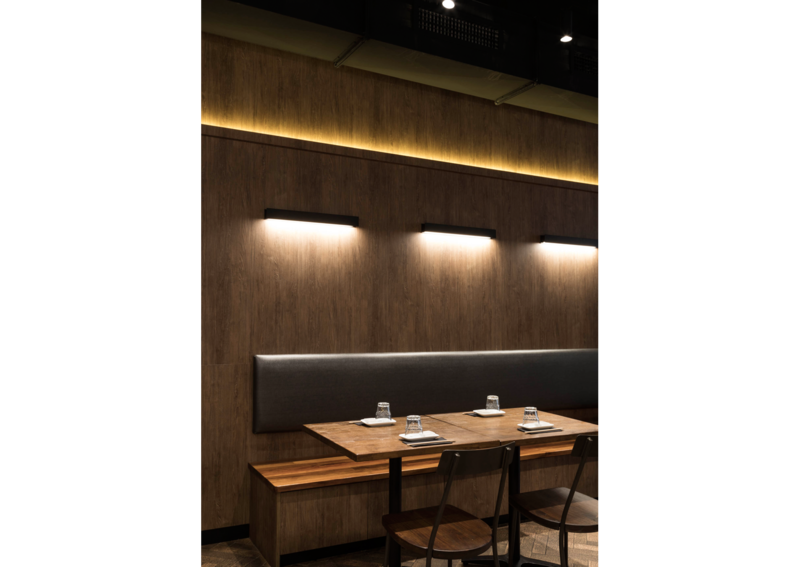 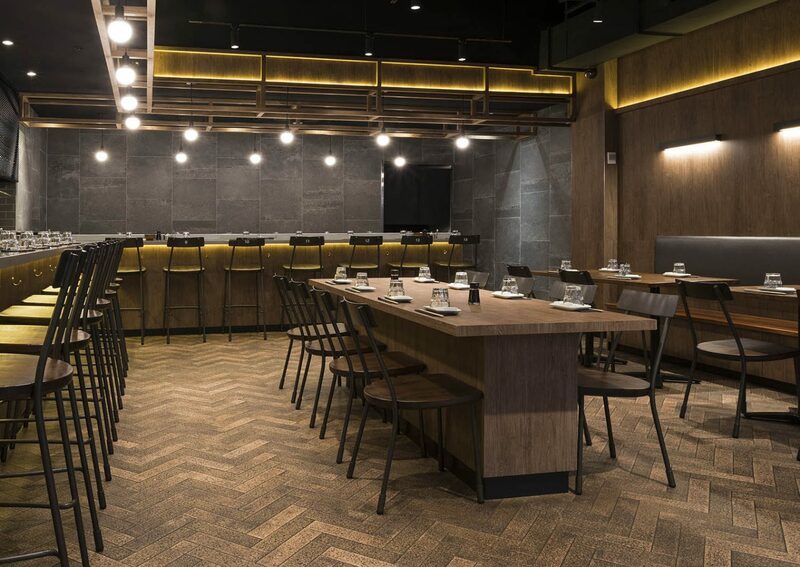 The use of dark timber in the restaurant compliments the overall vision of Kaito’s design and reflects the mood of dining in Japan’s hidden bars. 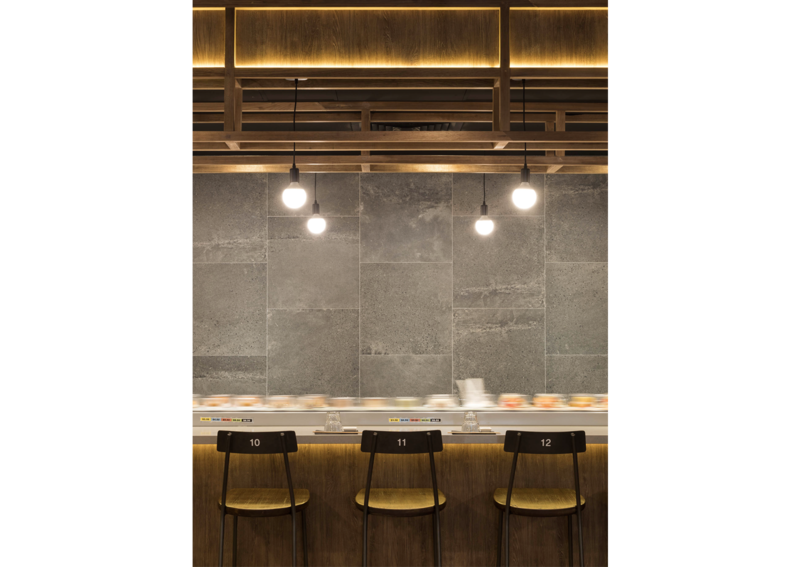 Feature bulkhead frames are inspired by the simplicity of Japanese lifestyle which frames the parameter of the sushi train. 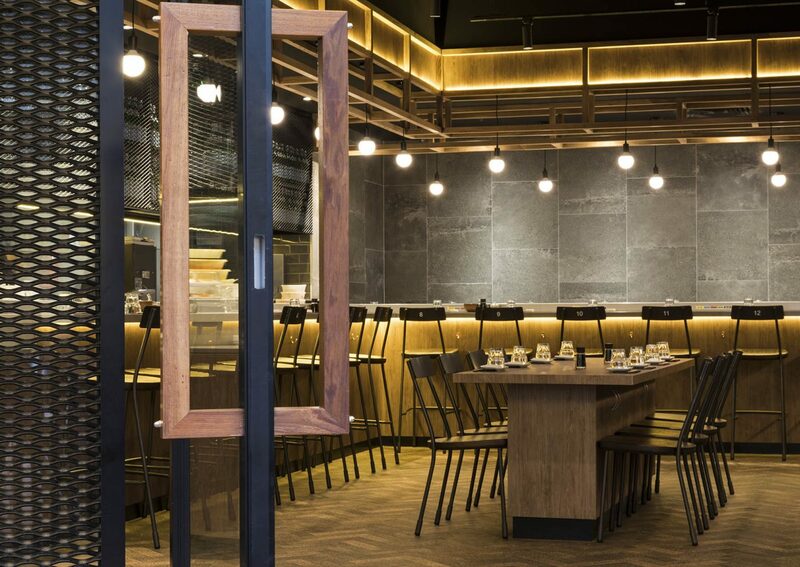 its open kitchen setting allows patrons to watch their food being freshly made. 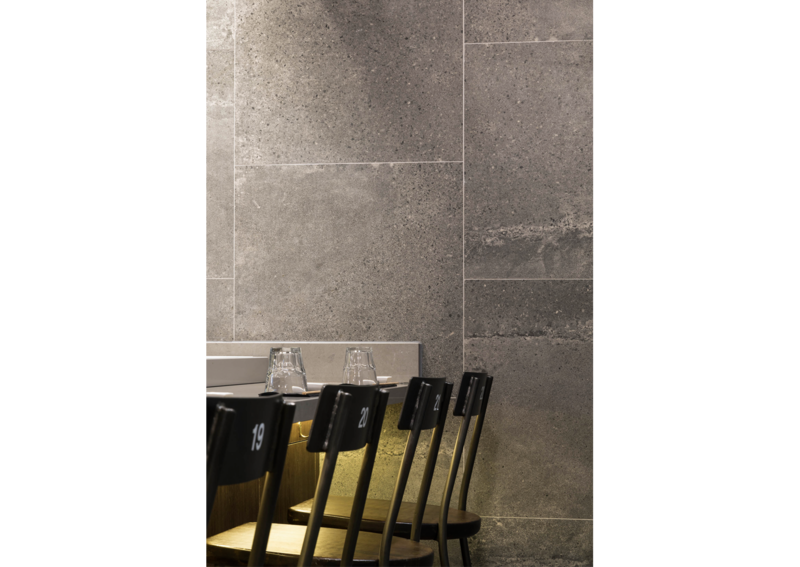 Materials selection are kept to a minimal which ranges from timber, terrazzo tiles to perforated metals. 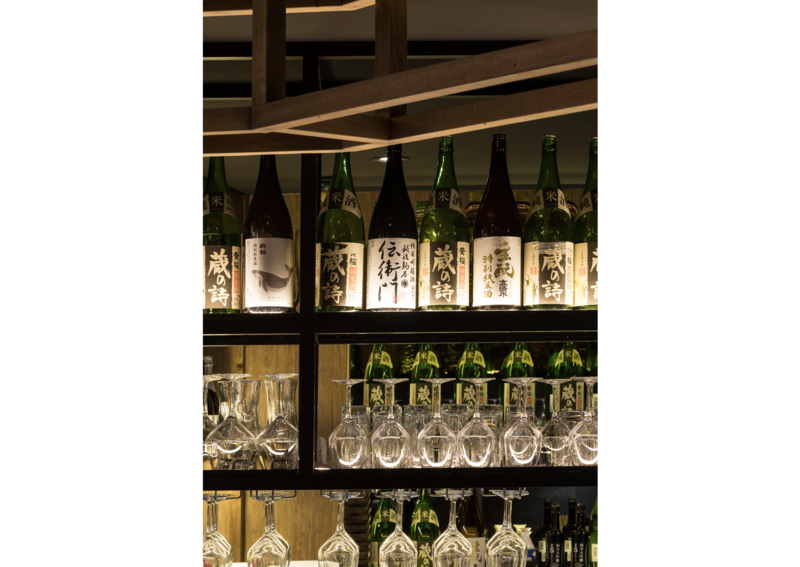 In creating a personal touch to the brand, the logo reflects Japanese elements with a clean and contemporary twist. 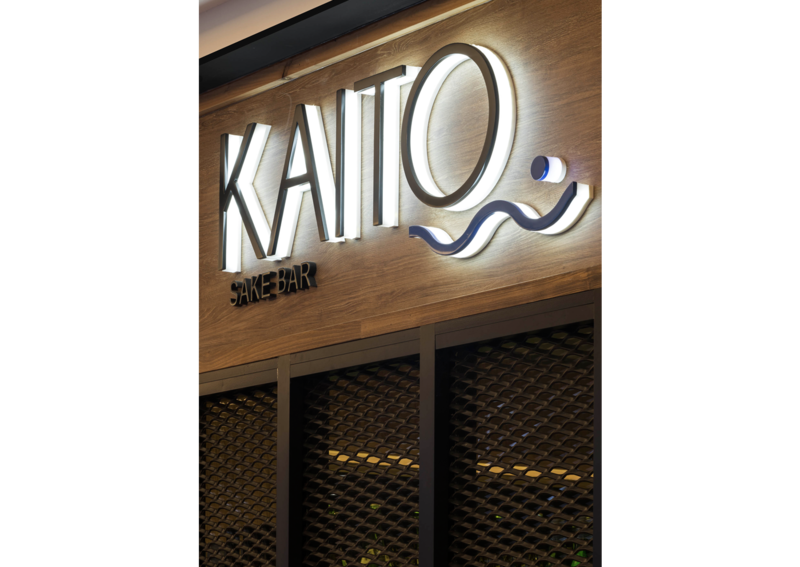 An underlining ‘wave’ element is added, representing the meaning behind its name – Kaito.